In what has become the annual offseason bro-building event, Jameer Nelson’s “Building Magic” is likely to be cancelled this year. In a conversation with Jameer’s agent, Steve Mountain, Magic Basketball Online has learned that there are currently no plans to hold this event. The lockout was cited as the primary reason. With players all working on their own schedules all over the country, logistically it wasn’t going to work. 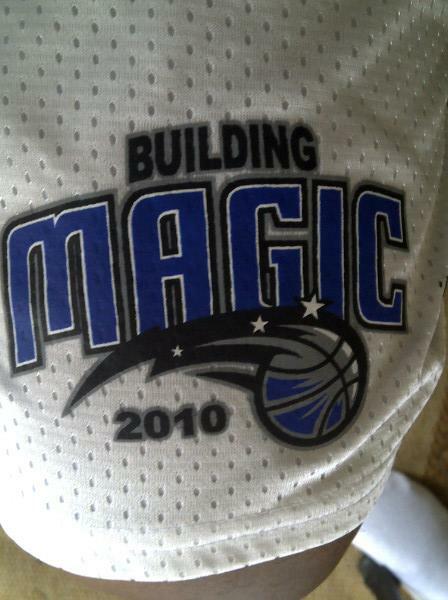 The Building Magic event has taken place since 2006 and is always held by Jameer Nelson and his camp. Every minute of the week is planned with events such as strength and conditioning workouts, scrimmages, dinners and nightlife. All attendees always receive elaborate gift bags as well. Past events have included bowling, paintball and baseball games amongst others. 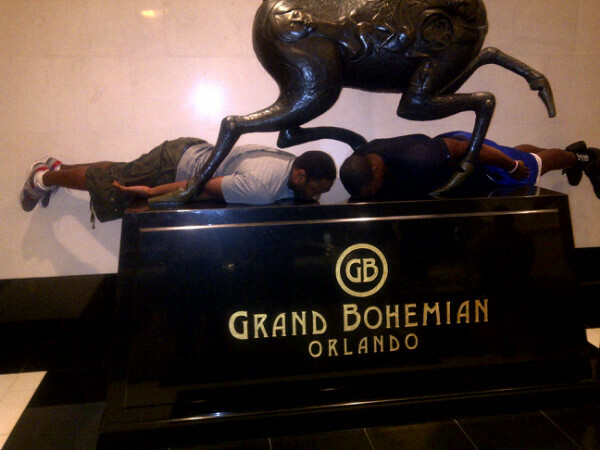 Planking has not been involved in previous events. This is likely to be the only team building conducted this offseason. Although the event is typically held in August, planning for the event is normally in high gear at this time. Although it may seem like a simple boys trip, it takes a lot of resources and time to plan the event according to Jameer’s camp. While there may be no plans at the moment to hold the event, it should be noted that things could change at any second depending on all the variables that could play out. Normally at this time of year, players are starting to really buckle down from their time off and start locking in on getting in shape. This lovely lockout changes everything. With the recent cancellation of the Orlando Summer League, it certainly doesn’t look promising that team officials are confident that this lockout will be a short one. It makes little sense to hold a team building event in August, which normally takes place right before training camp, when that training camp is unlikely to take place until November or December. Bottom Line: Don’t expect to see Magic players tweeting that they are heading to Philadelphia for Building Magic anytime soon. Building Magic takes a lot of time and effort from many people, and according to Jameer’s Agent no plans are currently in process. You can follow Magic Basketball Online on Twitter and add MBO on Facebook to get the latest story updates! You can now download the MBO app for the Android and Windows Phone platforms by searching for Magic Basketball Online. Subscribe for MBO email updates! Enter your email address to subscribe to MagicBasketballOnline and receive notifications of new posts by email.